Waiting for the next-generation Apple Watch doesn't sound like a bad idea if these new features are any indication. If you’re waiting for Apple to release the second-generation Apple Watch before you finally buy one, well, we don’t blame you. New details indicate Apple Watch 2 will be packed with improvements, including a front-facing video camera for FaceTime chats and a wireless chipset that will make the watch capable of standing on its own. It’s the latter that will become a huge selling point for Apple Watch 2. Right now, your watch requires your iPhone to be nearby for just about everything except activity-tracking and listening to music you’ve stored locally on the device. But according to a Thursday report from 9to5Mac, Apple is working to free Apple Watch from the iPhone for all but the most taxing data transfers and file-syncing by putting a Wi-Fi chipset in the next-gen model. That chip will allow watches connected to Wi-Fi to send messages, check the weather, read email, and perform other basic tasks the watch just can’t handle right now without an iPhone in Bluetooth range. What this means for you: If you decided to wait for Apple to bake more functionality into the watch’s hardware before spending a few hundred dollars on the wrist-worn device, you’ll certainly get more for your money than first-gen buyers did. But early adopters won’t be left out in the cold when watchOS 2 rolls out this fall with a slew of new features we longed for at launch, like native apps, third-party complications, and Nighstand mode. Apple Watch 2 will reportedly make its debut sometime in 2016, so your new watch isn’t passé just yet. Apple is looking to expand its watch lineup for the next version, but expect new models to be less than $17,000 rose gold beauty. The Wi-Fi chip reportedly being developed for the next-gen Apple Watch will also support a feature called Find My Watch, which functions exactly as it sounds. You’ll be able to use your iPhone to find your watch when it goes missing, just like you can use your watch to ping your phone when it’s hidden inside your house. The watch's battery life will remain the same in the second-gen watch, so you can expect to charge it nightly. Apple is also planning to add a camera to the top bezel of the watch, so you can make and receive FaceTime video calls without your iPhone, but it’s unclear if that camera would also support photography. The watch currently functions as a remote for your iPhone camera, but can’t take its own photos. The company is also looking into ways to expand the Apple Watch lineup with new models in the $1,000-$10,000 range, made from materials that aren’t quite as high-end as the rose gold in the Watch Edition but are a little fancier than stainless steel. 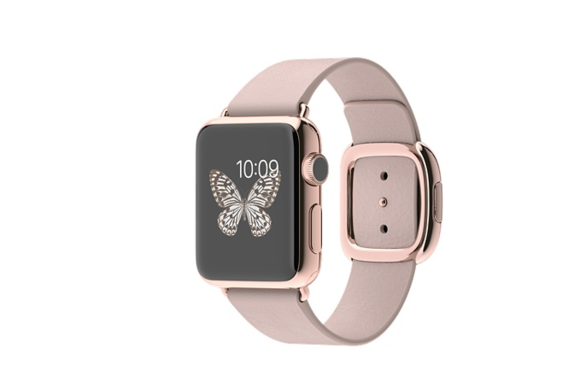 If you haven’t bought an Apple Watch yet, what features would the next-gen hardware need to persuade you? Would you actually use a front-facing watch camera, or is it a terrible idea? Let us know what you think in the comments.